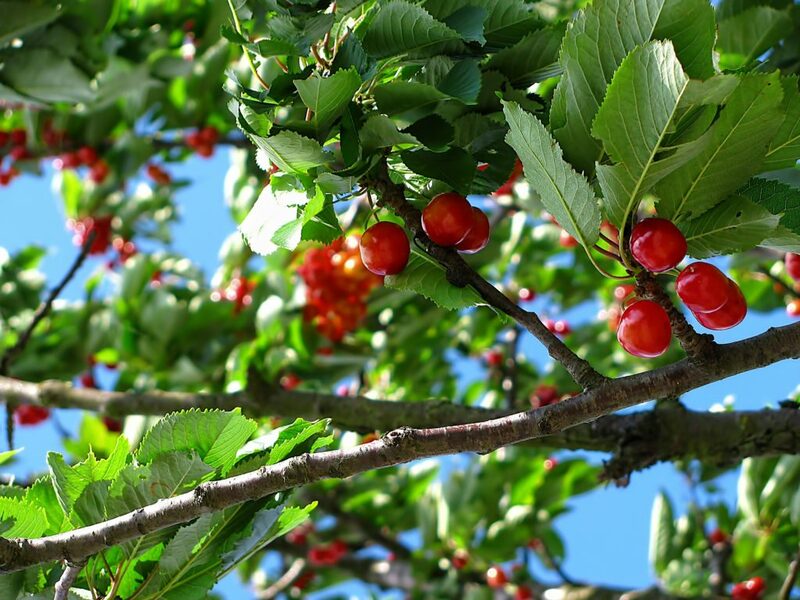 Why buy red cherries when you can forage them from nearby? Credit: Pexels. Money doesn’t grow on trees but food does. Even if you live in a mega metropolis like New York or London, you’ll still find many fruit trees in the parks or surroundings woods. Unfortunately, most of the time all these fruits are left to rot on the streets. This is a huge waste, especially when you consider half of all our food, which you probably paid for, gets thrown away. Seeking to address this issue, a group of dedicated young people started Falling Fruit, a non-profit that aims to build the most comprehensive map of free edibles throughout the world. Falling Fruit imported datasets which range from small neighborhood foraging maps to vast professionally-compiled tree inventories. Foragers, foresters, and freegans are also welcome to register an account and contribute. Tagging and labeling a fruit orchard in some city park or woods is as easy as using Google Maps. There are many tagged fruit trees and plants in the San Francisco Bay area, for instance. Credit: Falling Fruit screenshot. So far, Falling Fruit features 1,798 different types of edibles (most, but not all, plant species) distributed over 1,198,682 locations, most of which are in the United States. “Falling Fruit is a celebration of the overlooked culinary bounty of our city streets. 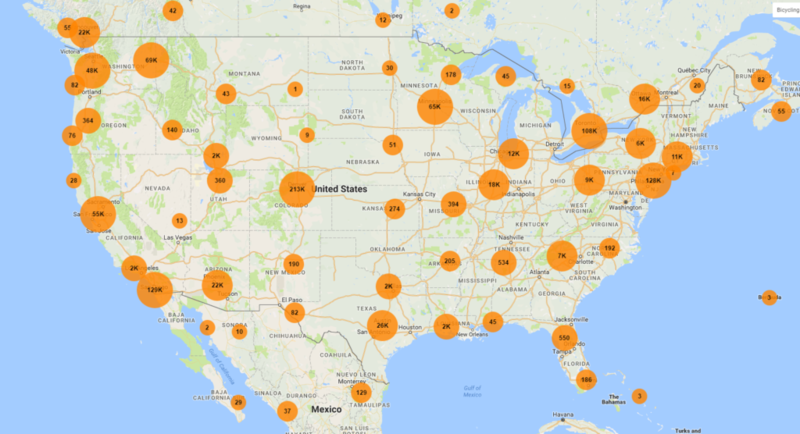 By quantifying this resource on an interactive map, we hope to facilitate intimate connections between people, food, and the natural organisms growing in our neighborhoods. Not just a free lunch! Foraging in the 21st century is an opportunity for urban exploration, to fight the scourge of stained sidewalks, and to reconnect with the botanical origins of food,” the volunteers write on their project’s website. You should be mindful, however, of some caveats when foraging fruit trees in cities, especially if these are heavily polluted. One of the most important contaminants alongside roadsides is particle matter — the microscopic bits of carbon that can damage our lungs when inhaled. It’s because of particle matter spewed by the exhaust of vehicles or even fossil fuel power plants that you get that ‘smoky’ appearance on buildings. A much bigger health concern, however, is the metals in the soil and air. Plants can take up metals through their roots, so there is a risk to intake mercury, arsenic, and lead. Most plants, however, don’t efficiently move metals from the roots up into the shoots so it’s unlikely to see roadside fruits contaminated with heavy metals. The bottom line is that you should be pretty safe eating roadside fruit most of the time, though you should be mindful of root vegetables which may be contaminated with heavy metals. Always wash roadside fruit before consuming them. Peel them before eating to be extra safe.